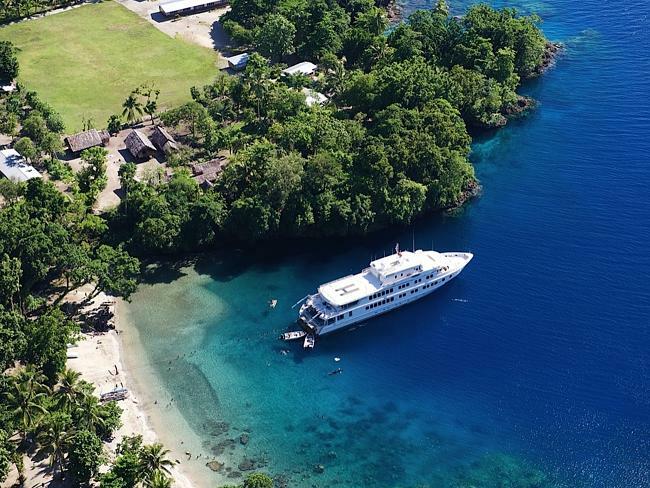 Carrying 36 passengers, North Star Cruises’ 50m purpose-built expedition yacht has come all the way from its home port of Broome for an annual Papua New Guinea exploration. This string of islands to the east of the PNG mainland, first sighted by Portuguese navigator de Torres in 1606, are seldom visited by any vessel, let alone cruise ships. Once a year, usually during November and December, a handful of specialist small ships may drop in to the reefs and tropical islands of this remote chain. True North has been visiting since 2005.